Pacemakers are small devices inserted into your heart during a surgery in order to regulate your heartbeat if it becomes too irregular. These pacemakers also require a battery to power them and need to be replaced after they’ve run out. But here’s the problem: you cannot always change the battery at your own convenience when it is literally 2 inch beneath your skin. To fix this problem, a couple of researchers from the University of Bern and University of Michigan have come up with an ingenious solution. 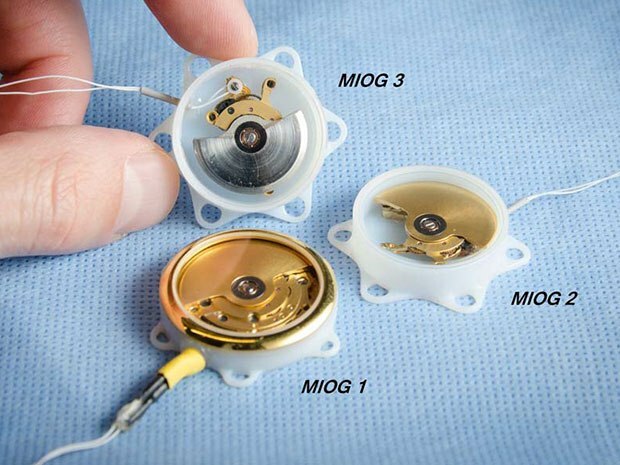 What if your Swiss wristwatch could act as an external pacemaker? A pacemaker may be able to pace up your heart, but your body also produces enough energy to run your heart. So how can the kinetic energy of your body be converted into energy for your clock-like pacemaker? The existing Swatch wristwatch works in a way that it has an interior spring which corresponds to the movement of your wrist. The way you wrist moves, the weight inside your watch moves simultaneously and stores the energy in the spring. So what if you place that weight on your heart? It will move corresponding to your heart beat instead and store the energy in the spring. All it takes is a bit of dismantling of the wristwatch and repurposing its interior mechanisms so that the weight would now respond to your heartbeat instead. The scientists did carry out a test run on pigs. The results showed that their hearts yielded about 6 microwatts of energy, enough to run a pacemaker ordinarily. But we already know that a back-up would obviously be needed in case the heart undergoes some sort of rhythmic changes, therefore affecting the energy output for the pacemaker. That backup battery will also be charged by the heart during its healthy cardiac contractions. The idea is ingenious, but it does need further testing for it to actually yield solid results. It would be convenient to have a pacemaker whose battery replacements do not require invasive procedures from time to time.